Q: I can't get the card key, the dome fossil causes a purple screen, I can't progress in the Safari Zone! A: These annoying bugs were fixed long ago. So if you haven't read the description you probably don't have the current update here. Refer to the Triune's thread, he posted the way to update the game. Reading always helps(also my personal motto)! Q : I can't get SURF! A:You can obtain Surf if you got a certain amount of GYM badges. Q : Why does this Pokemon sound like that Pokemon? Q : Where can you get the VS-Sekker? A:I removed it since there 1)lot's of trainers and Pokemon to fight and 2)personally, I don't see it as essential anyway. Q:Are there any bugs in this great game? A: First, thanks for the compliment As far as I know, there should't be any game breaking bugs. Apart from this, there are some text overlaps and not disappearing text boxes but they don't affect gameplay. Q: Why is my rival May instead of Gary? Q:Why do my Pokemon (like Houndour)not evolve? A:You don't have the National Pokedex. You can get it pretty early in the game when you head to the Vertania Forest. Q:Which new Pokemon did you include in Rocket Strike? A:I'll only name a few: Electivire, Honchcrow, Shieldon, Cocnodon, Magmortar and some more! A:I changed evolutions for some Pokemon. Pokemon which required trading(like Graveler)or happyness(like Golbat)will evolve by level up or by a special stone(for example: Feebas). A few Pokemon like Houndour and Ekans will need a few more levels to evolve. Q:I noticed a bug/I got a question up my mind. Where can I ask? A:Create a thread, post it in the comments section or if it's urgent write me a private message, I'll try to help you as good I can. If you got more questions, feel free to ask here or elsewhere. There is still another bug that you have not fixed or did not notice, I have six badges I have got surf and everything else I need but i can not get to cinnabar island (Far away island) because there is a fence blocking me, and from fuchsia or safari town it is just sea foam islands so please help me, here is link to the picture of the block. 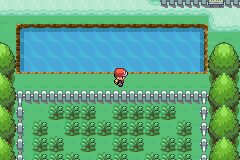 RocketLeader : so I'm trying to get the silph key and something is blocking me. do I need to start over or can I get some other way? Your save states should workever flawlessly, howewer make sure to use inbuild game save and not save states to do this. Then you can get the card key without any problems. RocketLeader : What stone do i use for feebas? Use a Waterstone to evolve your Feebas to Milotic. RocketLeader : I am having trouble finding Flash. Just get back to me when you can, thanks! Feusta : Hey, I got you mate. Remember the first town (Victoria Ville, 8th gym leader city). 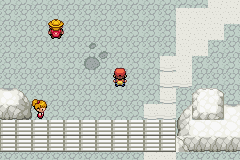 If you go up and then left you should make your way up towards Rocky Town(1st gym leader city) while talking to everyone you see. RocketLeader : How do I get a dawnstone to evolve my male Kirlia? There's no Dawn Stone anyways. RocketLeader : Why won't the guy move from the Shimmer City cave? 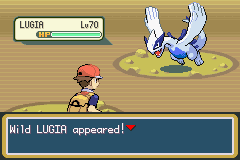 I beat the Elite Four. But did you 'complete' all events the islands? 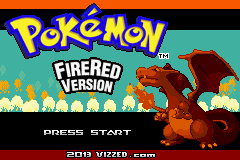 RocketLeader : I have caught or beat the legendary Pokemon, but I have not beaten the trainer with all 100's yet. I have to level up more. Loving this Hack right now! I have however ran in to 2 problems. The second issue is heart breaking! I leveled up my Krokorok to Krookodile and it lost its ability! It used to have intimidate but now it just says 'no special ability', i have tried evolving several and come up with the same issue . Hope the forums isn't dead!